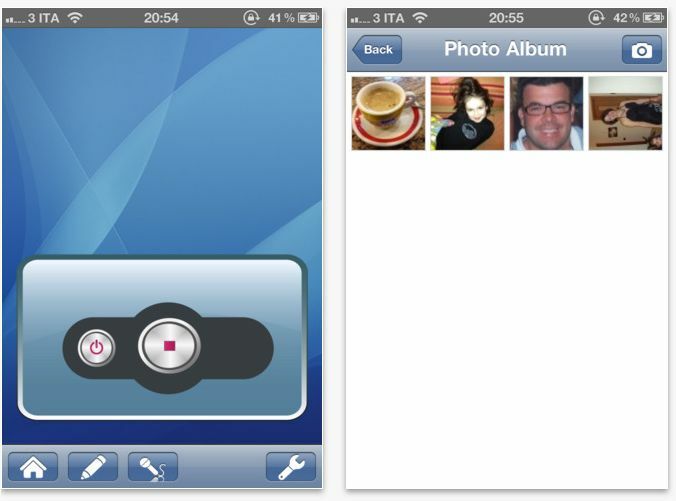 Doc&Photo Secret PRO, developed by Gianfranco Forlino, is an application to store secret documents and pictures. Most people will have a password to get access to their iPhone, but what happens if they gain access to your iPhone and can open up applications? All your personal data is exposed. 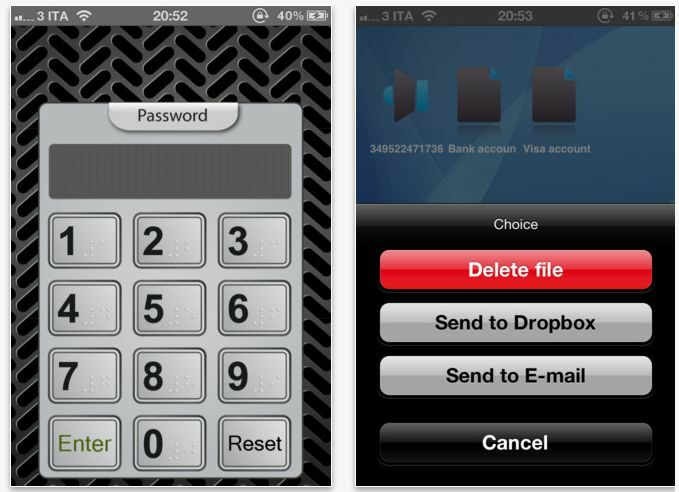 Doc&Photo Secret Pro is another level of security. If you have multiple applications, it will most likely get lost and whoever is trying to view your personal data will not see this app. If they do, Doc&Photo Secret is password protected. Although the password can only be 4 numbers, it will still deter people from getting at your personal info. Once your in the application your presented with a nice looking background that resembles a mac. From here your able to create sound recordings, text documents, and pictures. This allows you to save personal information like credit card numbers, phone numbers that you do not want in your contacts (like a secret lover), and messages that you would rather keep to yourself. You also have the ability to create an store audio recordings and to take and store pictures that you don’t want anyone else to see. There is one thing that you must remember. When you take a picture it saves to your camera roll as well, so after you exit the app make sure you delete it from your camera roll and iCloud photo stream. Doc&Photo Secret PRO includes the ability share files via Dropbox and email, supports audio notes, and does not contain any advertisements. There is a FREE version without these features on the App Store, but if you want all of the features, Doc&Photo Secret Pro is priced at just $0.99. Check it out if you want some extra security for your personal documents and pictures.